Tourism is an essential source of income in Egypt, the country is in fact considered the oldest tourist destination in the world. 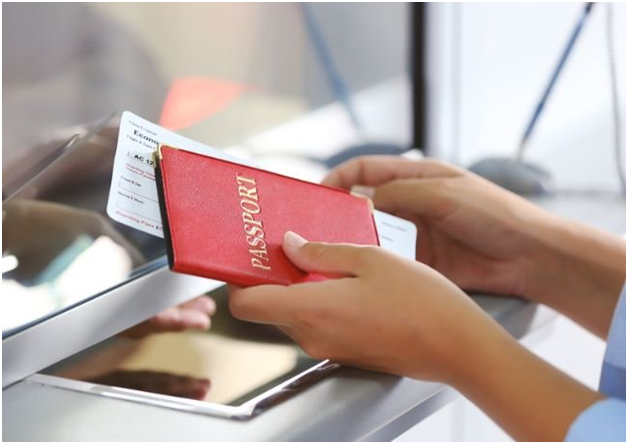 Earlier this year, the Egyptian Minister of Communications and Information Technology, Yasser al-Qady disclosed their plans to implement an electronic visa system in order to increase border control and national security. This is a sign of Egypt’s desire to welcome visitors while making the country safer. This electronic visa system will also simplify the process of applying for a visa to visit Egypt. Egyptian president Abdel-Fattah El-Sisi inaugurated the annual Information and Communication Technology (ICT) where he officially launched the e-visa to travel to Egypt. The Egypt online visa is available for all travellers from eligible countries such as Australia, Canada, The United States, and many European nations. If you are thinking about visiting Egypt for tourism purposes, there are several things you need to know. The first step is to check whether you are a national of one of the eligible countries that can apply online for an Egypt e-Visa. The country of Egypt updates the list of eligible countries often and travellers are advised to always check before registering to get the Egypt e-Visa. The Egypt online visa is now available for all travellers from eligible countries such as Australia, Canada, The United States, and many European nations. If you are thinking about visiting Egypt for tourism purposes, there are several things you need to know. The first step is to check whether you are a national of one of the eligible countries that can apply online for an Egypt e-visa. The country of Egypt updates the list of eligible countries often and travellers are advised to always check before registering to get the Egypt e-visa. In order to register online to obtain your tourist visa you must meet the Egypt e-Visa requirements. You must have a passport with a minimum validity of 8 months from the date of arrival. You should know that the electronic visa is valid for one single or multiple-entry and for a period of 30 days. The Egypt e-visa cannot be used to work and study in Egypt. The electronic visa for Egypt can be used for tourism. When you complete the online form, bear in mind that you must be extremely careful when introducing your personal details. Any errors in the Egypt e-Visa application form could result in a denied travel authorisation. The Egypt online visa application form is straightforward and requests your personal details, your email address, and a telephone number. You must also complete your passport information: the document number, issuing country and date, and the expiration date. Furthermore, it is essential that you use a valid and current email address. This is how you will receive notifications and additional information. During the application process to obtain the Egypt e-visa, you will have to pay a fee. You will be able to use a debit or credit card to make the payment. Your application will not be accepted without confirmed payment. If you are going to pass Egypt in transit and were hoping to leave the airport or stay more than 24 hours, then you should also apply online for the Egypt e-visa. Egypt’s electronic travel authorization must be obtained before your trip. You cannot arrive in Egypt without the e-Visa. The Egypt e-visa system has been put in place to modernize the previous visa-on-arrival system and the embassy visa procedures. The process is safe and your personal information will be secure.